If you’re behind on payments, and you’re underwater on your house (your house is worth less than the amount you owe) then you may be wondering what your options are. 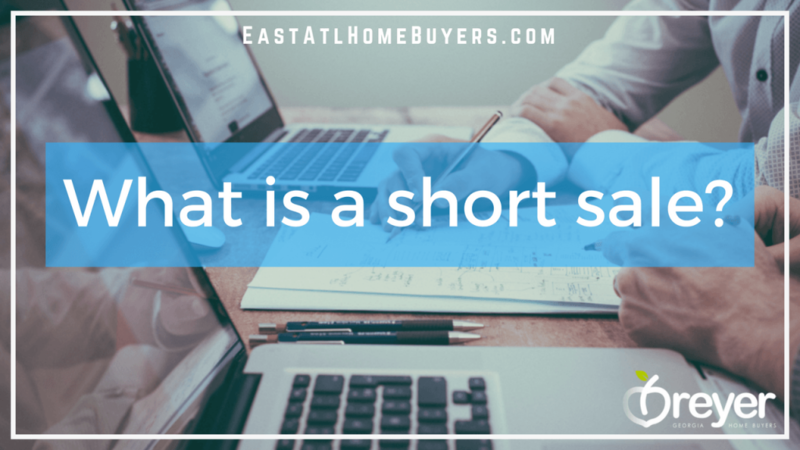 You may have even come across the term short sale and have been wondering “What is a short sale in real estate?” This article will dig deeper into answering that question. Know that even though performing a short sale is different than a foreclosure in Georgia, there still are repercussions to doing a short sale vs foreclosure in Atlanta, Georgia. 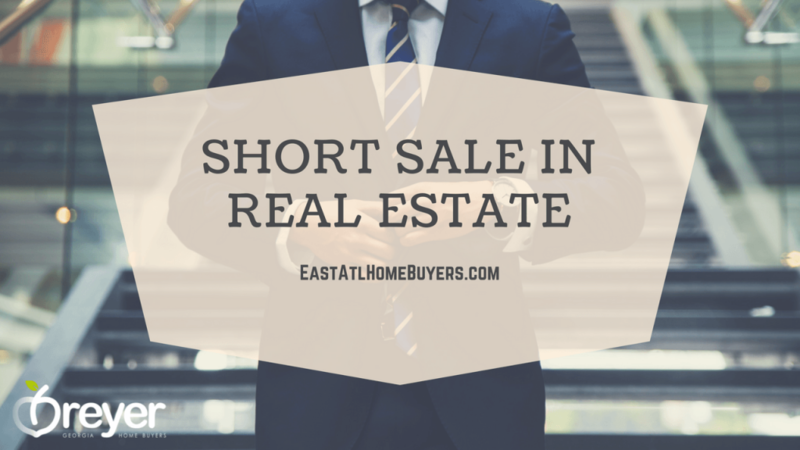 However, if you decide to go the short sale route with your home, now may be the best time to do so and a short sale is a great way to prevent foreclosure. It’s one of the better foreclosure options that you have in your tool belt. Short sales cannot be done without the approval from your lender. You may need to make a half dozen phone calls before you find the person responsible for handling short sales at the bank that holds your mortgage. You will want to talk to the “real estate short sale” department, and try to get the name of the negotiator. Your Georgia real estate agent can also handle this step for you. A short sale works like a typical home sale at first. The seller contacts a Georgia Realtor, the Realtor creates a listing and lists the house on the MLS, and then you wait to find a buyer. Once an offer is made and accepted, the seller needs to get that offer accepted by the bank; in a traditional sale, sellers don’t need the approval to accept (or reject) an offer. The banks want to make sure that you are going to get the maximum amount of money for the property. Mortgage lenders usually require the seller to prove the need for a short sale by submitting financial documents, such as a W2 and income statements, along with a hardship letter or affidavit that explains why the seller can no longer make mortgage payments. From there, the lender will have the home appraised to evaluate whether the offer made on the short sale property is a good one or not. Lenders are often willing to approve short sale offers below market value in order to avoid having the home go into foreclosure in Georgia, which is a costly and time-consuming process for lenders as well as borrowers. Banks don’t make money sending homes into foreclosure. Usually when a house goes into foreclosure in Atlanta Georgia, the homeowners leave the property in disrepair. That may not be your intentions, but banks would rather short sale a property and it be sold in good condition rather than be trashed and given back to the bank to manage. In 2008, the housing market crashed. Since then, property values have been steadily going up over time, but the market has definitely recovered faster in some areas than in others. That creates a problem if you want to sell your house and move on but don’t get enough out of this sale to pay off your mortgage. If your market is not as cyclical as coastal markets, then your market may not be in full recovery yet, making foreclosures and short sales more prominent in your market. A short sale is not a “get out of jail free” card. It’ll have some impact on your credit and could have an impact on your ability to get a future mortgage. However, it’s better than having a foreclosure on your records. We’ll get into some of this later on, but for now let’s look at how a short sale works. The first step is to contact your lender and explain to them that you need to sell your home for one reason or another but you know you won’t be able to get back the value of the mortgage balance. You and your lender will then talk about whether you’re qualified to do a short sale. 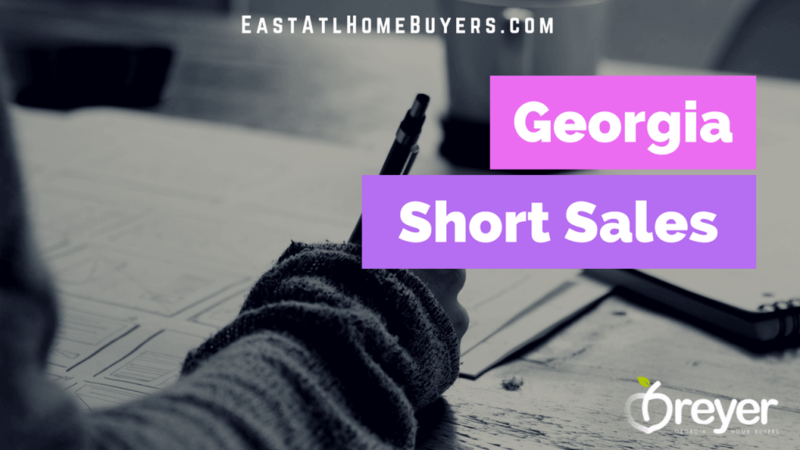 Different lenders may have different standards and there’s a list of items that you have to complete to pursue a short sale in Georgia. The important thing to note is that the lender manages the short sale. They have to agree to any sale, so the process can take some time. Sometimes the process can take up to a year. Also note that the foreclosure process in Georgia can take up to about 130 days, so you need to initiate the short sale process as soon as you start getting behind on payments to avoid or stop foreclosure in Atlanta. If you don’t want to sell through a real estate agent in Georgia, list your house on the MLS, have your house sit on the market, or pay Georgia Realtor fees, then short selling your home to a real estate investment company like Breyer Home Buyers is a great option. We buy short sale homes regularly. We work with local banks, attorneys, and title companies to provide a smooth short sale process for homeowners. Most real estate agents won’t have this kind of network or experience, which can delay your short sale and potentially send you into foreclosure. Don’t leave your foreclosure evictions up to a real estate agent. Fill out this form or give us a call now to get a cash offer on your house. This is an estimated closing statement that shows the sales price you expect to receive and all the costs of sale (Georgia Realtor fees and commissions), unpaid loan balances, outstanding payments due and late fees. Your closing agent or foreclosure lawyer in Atlanta should be able to prepare this on your behalf. If the bottom line shows cash to the seller, good news, you will probably not need a short sale since you are not underwater on your mortgage. The sadder, the better. This statement of facts describes how you got into this financial bind and makes a plea to the lender to accept less than full payment. Lenders are not inhumane and can understand if you lost your job, were hospitalized or a truck ran over your entire family, but lenders are not particularly empathetic to situations involving dishonesty or criminal behavior. They also are not too keen on people with really poor financial management skills. It is best to be truthful and honest about your financial situation and disclose assets. Lenders will want to know if you have savings accounts, money market accounts, stocks or bonds, negotiable instruments, cash or other real estate or anything of tangible value. Lenders are not in the charity business and often require assurance that the debtor cannot pay back any of the debt that it is forgiving. The bank will also require 30 days of payroll stubs from your current employer. If your bank statements reflect unaccountable deposits, large cash withdrawals or an unusual number of checks, it’s probably a good idea to explain each of those line items to the lender. In addition, the lender might want you to account for each and every deposit so it can determine whether deposits will continue. Typically banks require your last 2 months of bank statements. Yes, you probably have your mortgage through your personal bank. You still need to provide them with two months of bank statements even if it is in their systems. When you reach an agreement to sell with a prospective purchaser, the lender will want a copy of the offer, along with a copy of your listing agreement. Be prepared for the lender to renegotiate fees and to refuse to pay for certain items such as home protection plans or termite inspections. Yes, we can help you sell your house in a short sale in Georgia. We have relationships with local banks, title companies, and foreclosure attorneys who we work with all of the time. Real estate agents don’t have the same network. They may not even know what a short sale is or how to do one. You don’t want to leave your future and potential foreclosure up to someone who isn’t going to deliver. With a Georgia Realtor, you could have to wait up to 6+ months to sell your house on the MLS. The pre foreclosure process is about 130 days. You could be gambling by going with a real estate agent in Atlanta. 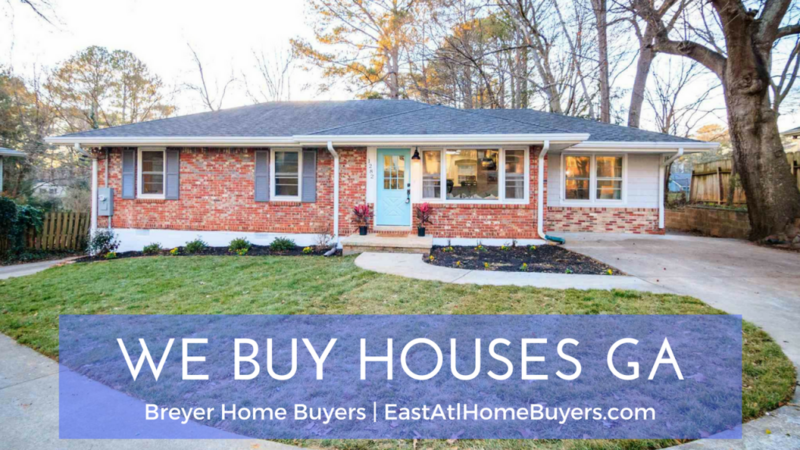 With Breyer Home Buyers, we buy houses in Atlanta Georgia with cash. We close on your timeline (in as little as 14 days). You sign a 1 page purchase agreement. We work with the banks and title companies for you. You just show up to the title company to close on the house and you’re done. It’s that easy. We can’t help everyone or buy every house. However, you can fill out the form below or give us a call now and we will set an appointment to come see your house and give you a no obligation cash offer.